Panasonic launched the first mirrorless digital camera, the Lumix G1, in 2008. It later creates 2 more product lines, the GH-series, the GF-series. Now, Panasonic introduces another GX-series to fill in the segment gap between the high-end GH and the low-end GF. Meanwhile, the G-series continues its conventional large but ergonomic body design. Better sensor performance. At 16MP, high ISO images are comparable to Sony NEX-C3. Faster AF and shutter lag. The GX1 focuses even faster and fires the shutter without hesitation. Ergonomics. The GX1 comes with a protruding rubber grip for the added handheld comfort. Hotshoe. Now you can use the GX1 with any standard hotshoe accessories to expand your photographic creativity. More hardware buttons. Adjusting the shoot settings gets faster with custom Fn buttons (2 hardware and 2 pull-out menu) and with the aid of touchscreen capability. Stereo video recording. This is 2010s. We expect nothing short of stereo capability. I really like how fast the GX1 captures images. AF is accurately fast with the Power Zoom 14-42mm kit lens. The GX1 is my favourite camera at the moment to let me capture all the fleeting moments that happen around me. And while there are more buttons to handle the camera settings, it’s the touchscreen that further speeds up the selection of settings. I like how I can use either hardware buttons or touch functions to select. The touch response is not as sensitive as smartphones, but it is adequate to prevent any accidental touches yet does not frustrate the average touch user. I also like how I can manually adjust the angle of the pop-up flash, up to 90-degrees. Now I don’t have to buy an external flash just to achieve the soft natural flash effect. I can manually tilt up the pop-up flash on the GX1. Win! Just make sure you manually compensate the flash output, since the built-in flash is not that powerful. 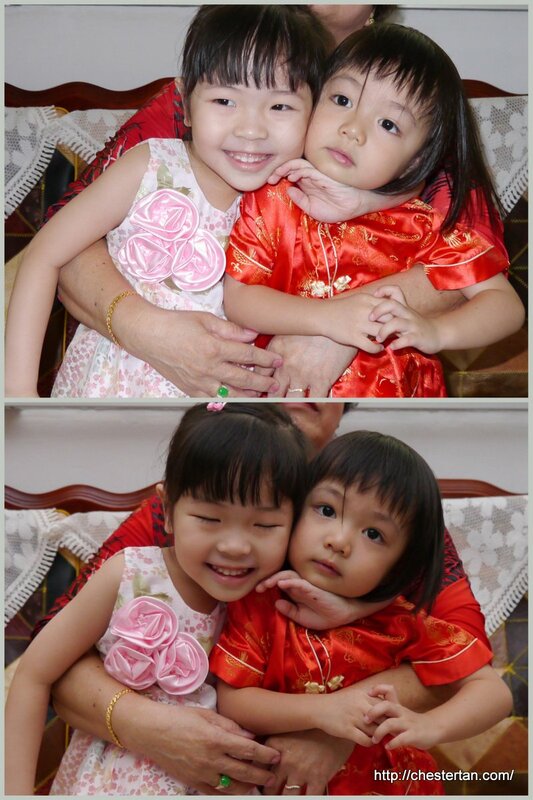 The effect of bounce flash on GX1. Even when shooting in RAW, the GX1 processes the large-size images in the background while allowing you to continue to capture more still images. During writing of RAW files, you can’t playback photos nor can you do video recording, but that’s better than not able to capture photos while the RAW photo is being saved. Exposure compensation is just a click-wheel away. I am surprised even my friend who owns an LX5 did not know that the rubberised scroll-wheel can be clicked. In the case of GX1, when you are in the Aperture or Shutter priority mode, pushing the wheel will enable EV compensation mode. Good thing is that the mode remains even after you hit the shutter, so I can do exposure compensation very quickly when doing multiple shots. Battery life seems pretty good, though I never do any scientific drain test. All I can say is that I never felt that the battery is used up too quickly. But like any modern electronics, you should get a spare battery, since usage may vary for every consumer. Power Zoom Lens 14-42mm. As a still photographer, I do not like the power zoom lens, but I know the benefits when shooting video. Yet, when most of the electronic zoom is adjusted on the camera body, I have to remember to adjust the GX1 zoom via the slider on the lens. And to add to the confusion, I always push the focus lever instead because that is where my thumb is naturally rested. This has nothing to do with GX1 really, so if you aren’t a fan of electronic zoom controls, then I suggest you give this lens a miss. White labels on silver body. I can’t see the labels next to the buttons unless I tilt the camera at an angle. This only happens on the silver body GX1, so you might want to consider getting a darker-coloured model, or memorise the buttons. Can you actually see the labels next to the buttons? Deceivingly unresponsive video recording button. The recording button does not give a clear “click” when pressed. To make things worse, there is a lag before recording starts, so at times you were led to wonder if you had actually activated the video recording. Same thing when you try to stop recording with the button. Workaround: give the recording button a firm press. And wait patiently for on-screen indication that recording has started or ended. Slow shutdown. After switching off the GX1, you have to wait for the 14-42mm lens to retract and for the screen to be off, which in all takes about 1-2 second, which feels like an eternity when you are in a hurry to keep the camera in your bag. Fortunately, the power button is a firm lever switch, so you can be assured that the camera is in the process of being powered down. Low-resolution display. When comparing on-screen images with the Samsung NX200, the GX1 appears to have captured a less-than-sharp image. But uploading to a computer with large screen shows otherwise. Therefore, try not to be too critical when you review your images on the GX1 screen and make your judgement from a better higher-res monitor. The AF and shutter response is on par with Olympus PEN E-P3, but I would go for Lumix GX1 because it’s lighter and I can tilt the pop-up flash. However, E-P3 offers a lot of customisation and shoot setting adjustments. The noise level is comparable to Sony NEX-C3, yet GX1 is smaller, and AF and shutter response is so much faster. I cannot compare with NEX-5N or NEX-7 because I have not had a chance to review them yet. Comparing to Samsung NX200, the GX1 seems to fare better in reducing chroma noise at high ISO, but when it comes to image details, NX200 appears to resolve better due to better kit lens (18-55mm) and larger APS-C sensor. Lumix fans will feel right at home with the GX1. There are no major changes to the interfaces or buttons. Rather, Panasonic has assembled the best of features from all the Lumix G models. 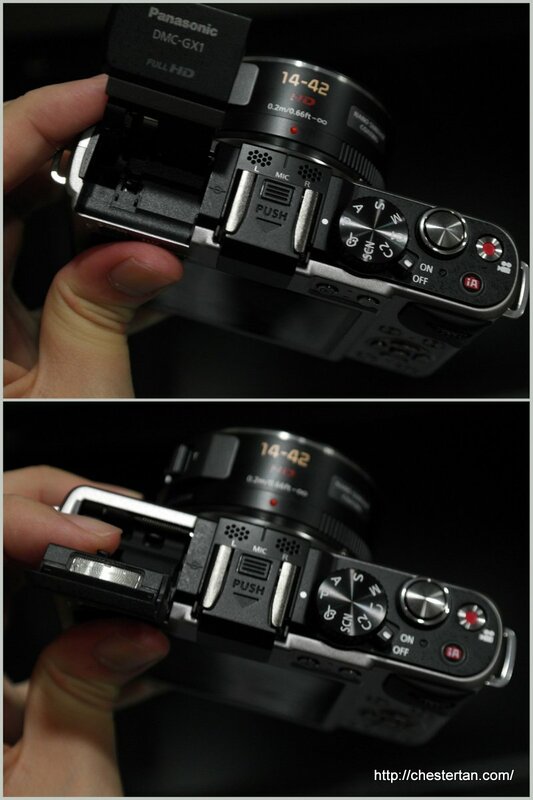 Instead of the stripped down compact GF3 or the chunky expensive GH2, the GX1 has the right size and is feature-packed. To a demanding camera user like myself, the GX1 is definitely a good balance of quality and price.